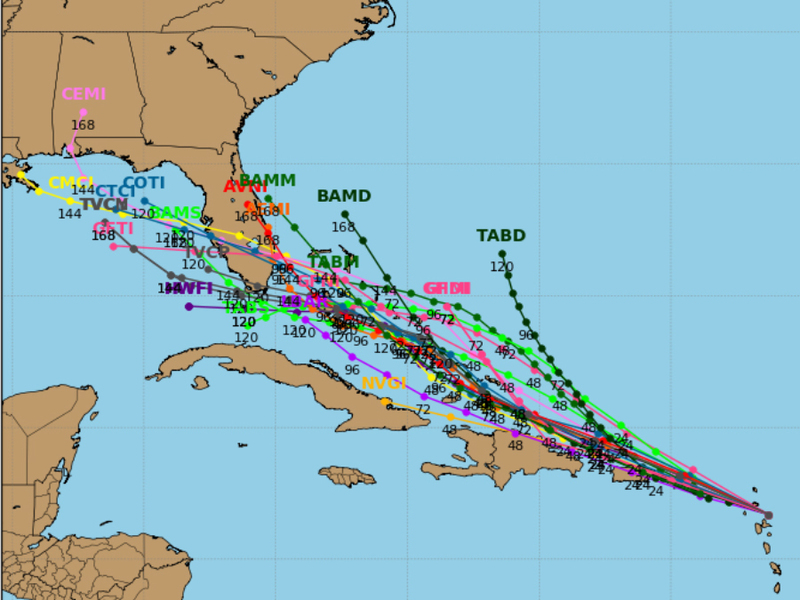 A strengthening tropical disturbance, called “Invest 99L,” is on track to hit Florida over the course of the next week. The storm is currently causing strong winds, heavy rains and rough surf in the Caribbean, and in the next 24 hours, it'll approach Puerto Rico. From there, it's expected to move near Hispaniola before tracking northwest to southern Florida. Weather will begin to worsen in southern Florida by the end of the weekend as heavy rains, gusty winds and rough surf all begin to move nearer. Conditions aren't exactly ideal for further development of this disturbance, but despite that, we could be looking at tropical depression eight. 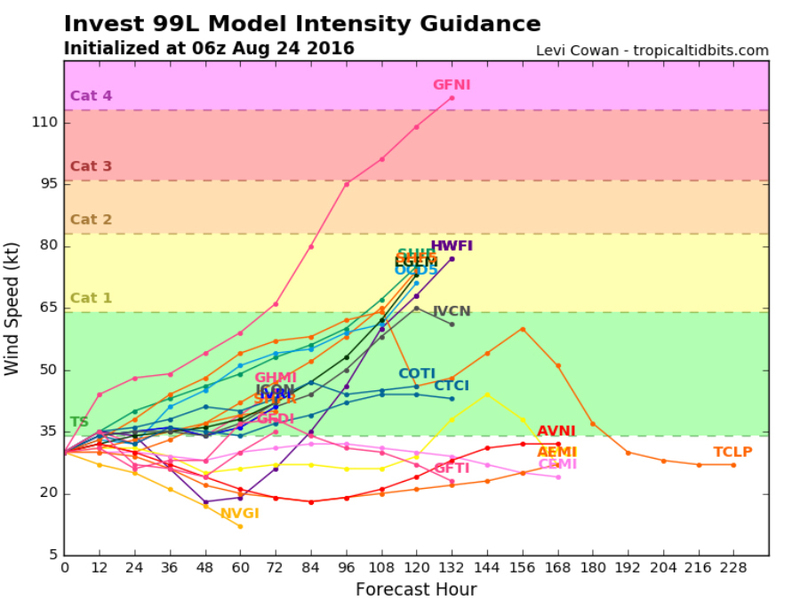 Fortunately for Florida, Invest 99L isn't expected to become anything more than Tropical Storm Hermine. If, by some chance, this system became a hurricane and hit Florida, it'd be the first hurricane to make landfall in Florida since Wilma in October 2005. A number of tropical storms have made landfall in Florida in between 2005 and now. The most recent was Tropical Storm Colin in early June this year. While Florida is keeping a close eye on the Caribbean, another tropical storm — Gaston — has been quickly strengthening. It's expected to become a hurricane later today, the season's second after Alex formed in January earlier this year. We're currently in peak hurricane season, so it's no surprise the Atlantic is seeing so much activity. Some long-term models even point to one or two more disturbances developing off the coast of Africa after the first week of September.